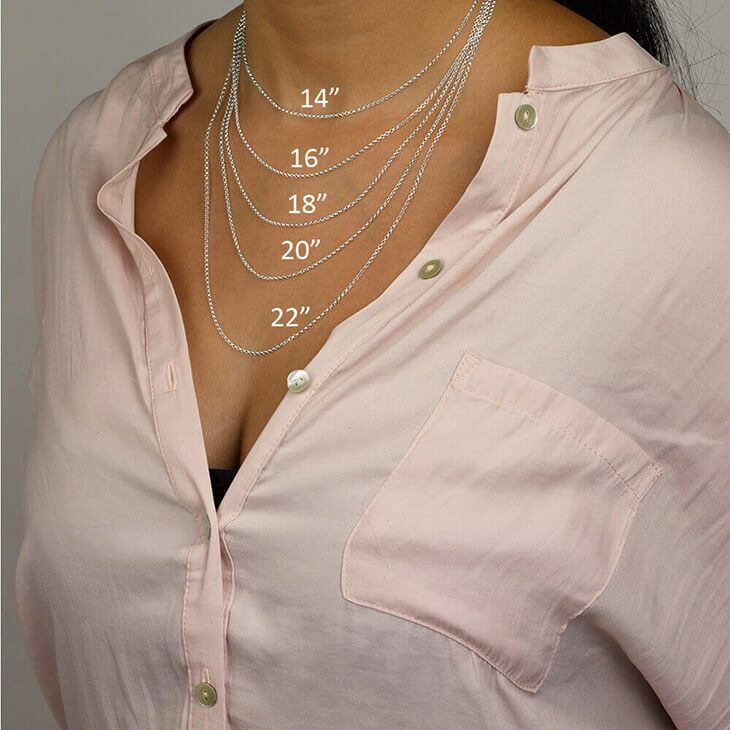 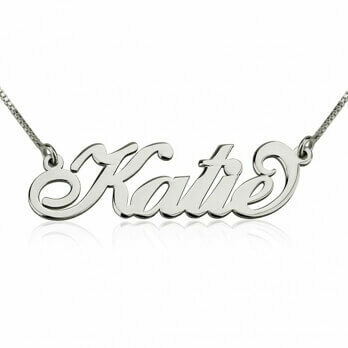 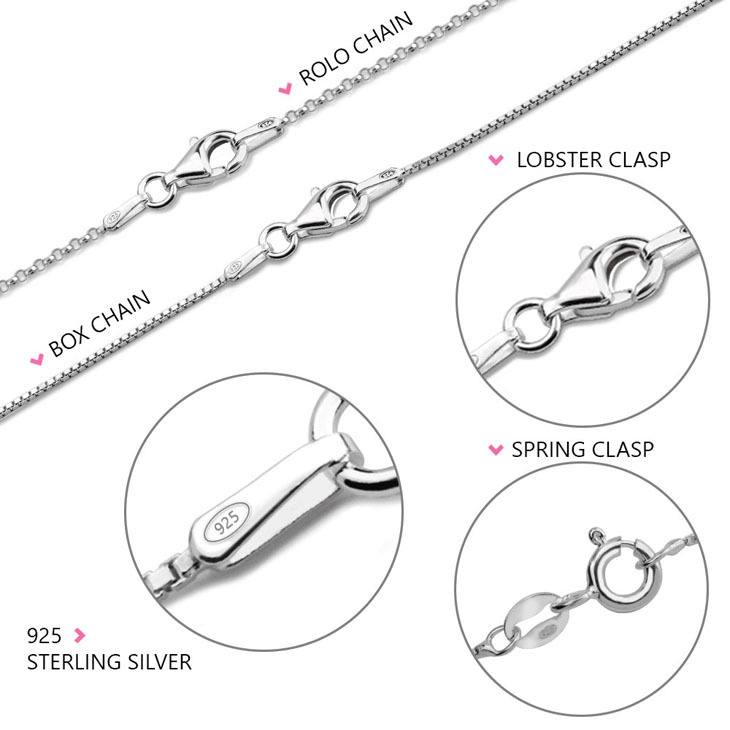 We've updated our popular Sterling Silver name necklace! 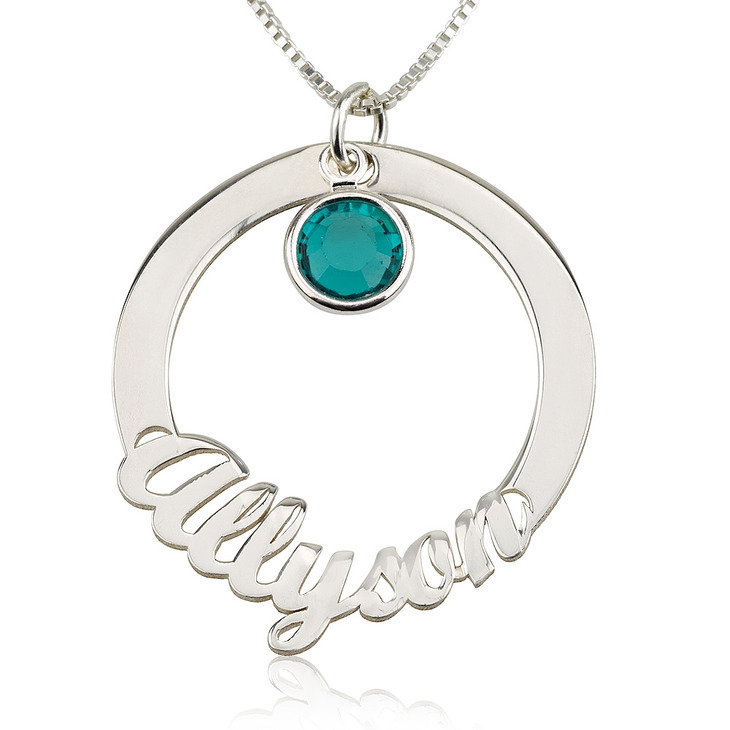 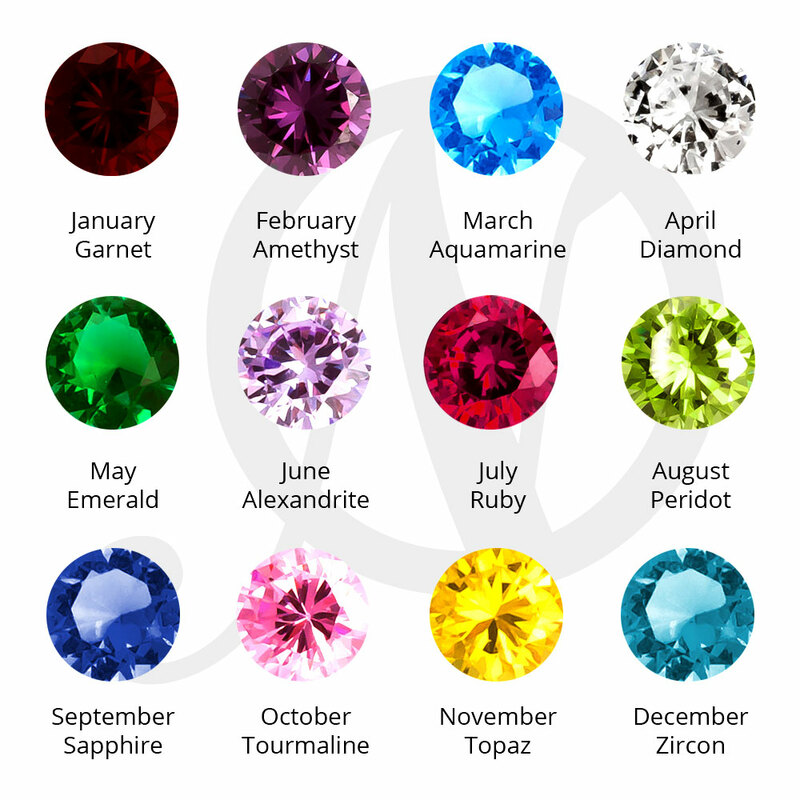 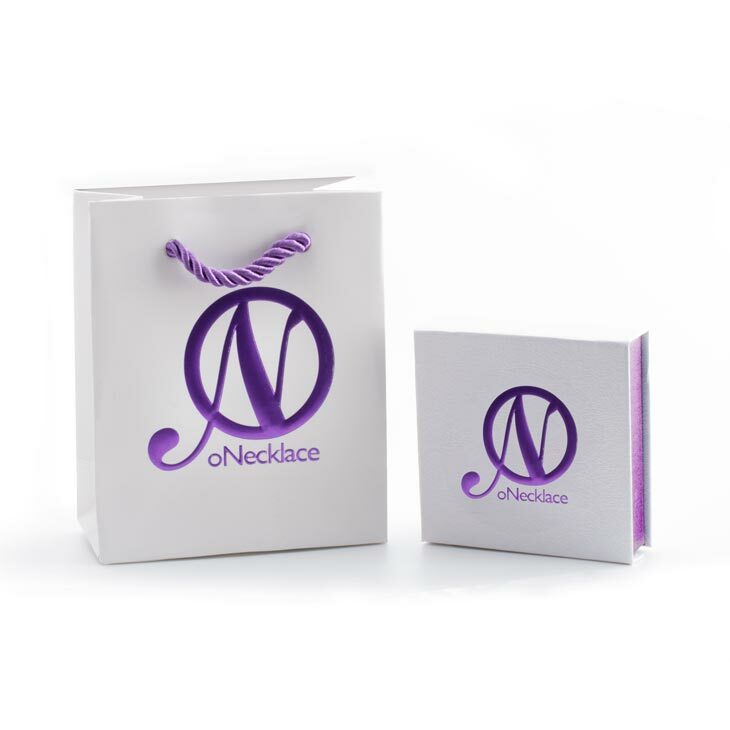 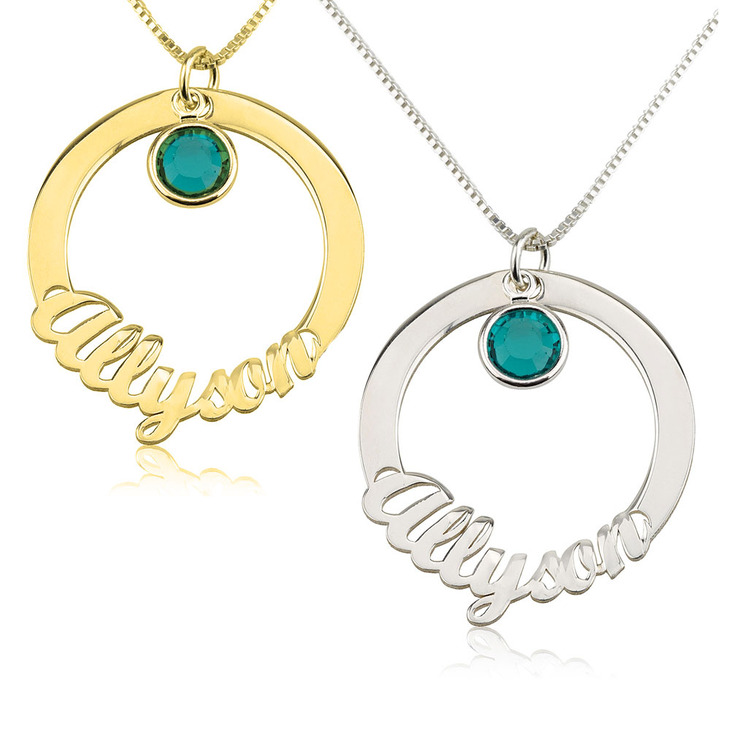 Your name now inside a circle pendant and your Swarovski Birthstone too. 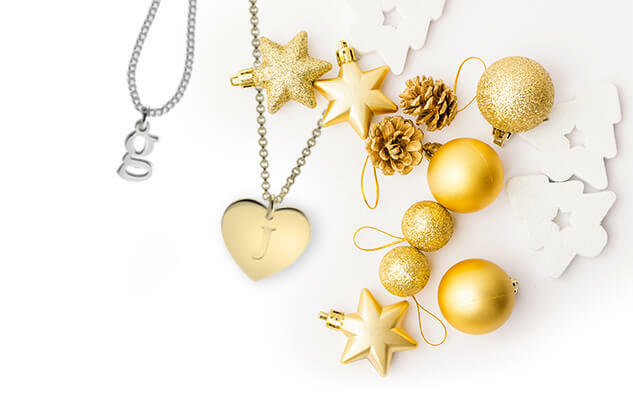 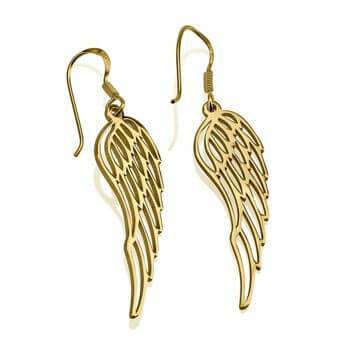 Makes a great gift for yourself or a loved one.